As a personal assistant, Cristina's primary goal is to manage Doug's schedule to confirm he has the time to spend with active, current clients as well as newly acquired clients. Cristina schedules regular investment client reviews for Doug, to ensure our investors objectives are being monitored and adjusted accordingly. Her organizational skills and excellent understanding of time sensitive issues enables her to prioritize events and assist clients with creating action plans. Cristina is an integral part of the Garback Agency's unique new business process, serving as the key contact throughout the new business progression. 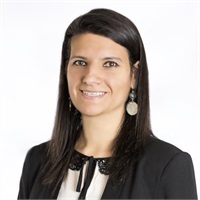 Bilingual in both Portuguese and Spanish, we are thrilled to have Cristina as a team member.